Ubuntu is a Linux distribution that starts with the breadth of Debian and adds regular releases (every six months), a clear focus on the user and usability (it should "Just Work", TM) and a commitment to security updates with 18 months of support for every release. 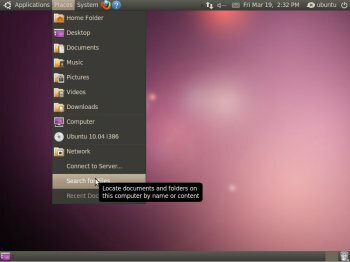 Ubuntu ships with the latest Gnome release as well as a selection of server and desktop software that makes for a comfortable desktop experience off a single installation CD. Nice to see I was right, too bad they wasted 7 years on trying to shove Unity up everyone's a$$, now they are are abandoning the idiotic idea altogether. Gnome is, and always was the right choice for them, ubuntu is a great server and dominates in the cloud space, but for desktop I still recommend Debian. With Debian you never have to worry about Canonical having some retarded idea that forces all their users to change to some new stupid thing that they inevitably abandon leaving all those users stranded. My distro of choice right now is Deepin, an amazing desktop distro which leaves ubuntu behind in every way imaginable. So ya Im never touching ubuntu ever again because they burned me too many times, but at least now they are taking some steps back in the right direction. Having said that, I have seen the pattern now and Im sure they will repeat the Unity debacle in some other form and go down this road all over again. Hookay disregard Gnome too, all the Linux devs have basically missed the boat on UI and recently 2 new changes have taken place that will change everything. Remix OS is now free, its a linux based version of Android that can be installed on any dekstop computer. Amazing. And if you just want the perfect desktop running on Debian, Deepin Linux i now has hands down the bast UI on the most stable distro on Earth. Goodbye Ubuntu, you missed the boat completely. You can run gnome on any distro now, and gnome allows customization, ubuntu does not. Not allowing people to change their desktop is the exact opposite of what Linux was meant to be, Ubuntu is therefore the exact opposite of what Linux was meant to be. 4 years after they forced their users to have a dock on the left side that no on wanted, they are finally allowing those of us that dont have a 42 inch wide screen or tablet to move the dock to the bottom. If it takes you 4 years before you listen to your users, you are not worthy of being a linux company Ubuntu. And their other insane quest to get Linux on phones and tablets is not going to work, I mean if a multi billion dollar company like microsh!te could not get their OS on to those devices, what hope does Ubuntu have when they cannot support the android apps and have almost no apps of their own? No one wants this! What we DID want was a replacement for Windows on our desktops, but then they lost that too by trying to capture phone and tablet market. it will make a fine Base for MInt,Zorin,and many others ,, just to many flavors of Linux to decide from..
Why use Ubuntu whe you can use Mint...? Linux Mint is to much better than this. Love the distro, HATE the DE. Glad that Gnome finally is looking good and since it has extensions its a very linux like DE, unlike UNITY which locks you into everything and allows No customization whatsoever. See Canonical, was that so hard? You are losing massive numbers of users due to your insane desktop policies. the biggest change in 15.04 is not in Ubuntu, but in Kubuntu - this one comes with Plasma 5 as default. Cons: Not sure calling this a con, but this is not Ubuntu; it's LUbuntu. Definitely a difference since LUbuntu is more like Windows (bar on bottome) whereas Ubunta has the bar on top like Apple. Until top panel remains riveted, Linux (Ubuntu flavor) will remain ridged, un-Linux. As usual, LinuxMint will surely enjoy this "make" to offer us a better build. Five stars for the engine under the hood, -5 stars for UI. I'll give it a 3. Works great on a netbook with a SSD. The GUI you have to get used to but after that, it does everything light years faster then Win 8. Elementary OS my friends, it does everything right that ubuntu does wrong. It boots fast, (yes a lot of people care about a computer booting in less than 5 minutes), the desktop looks unified along with the applications, (yes this matters too), and it looks like a real desktop and not a touch screen hybrid frankenmess. Just go get EOS Luna, and you'll never have to worry about ubuntu screwing up your OS ever again.